Full house at the Olympion Cinema, the flagship venue of the Thessaloniki Film Festival and the site for the opening and closing ceremonies. After years of internal drama, Greece's biggest film festival hit its stride to become a world-class event without the pomp of its European brethren. Turning 58 this year, the Thessaloniki International Film Festival (which runs until November 12) can’t boast about being Europe’s oldest – Venice is 74, Cannes is 70 and Berlin is 67 – but what does age matter? “I’ve been to lots of festivals around the world, but nowhere have I found such a friendly and vibrant environment as right here in Thessaloniki,” director Wim Wenders said in 2006, during a visit to the event for a major retrospective of his work. The list of great filmmakers and actors who have graced the event with their presence and who left similarly enchanted is a long one: Nagisa Oshima, Bernardo Bertolucci, Claude Chabrol, Ken Loach, Francis Ford Coppola, Alexander Payne, Jim Jarmusch, Catherine Deneuve, Faye Dunaway, Isabelle Huppert and John Malkovich are just a few of the entries. 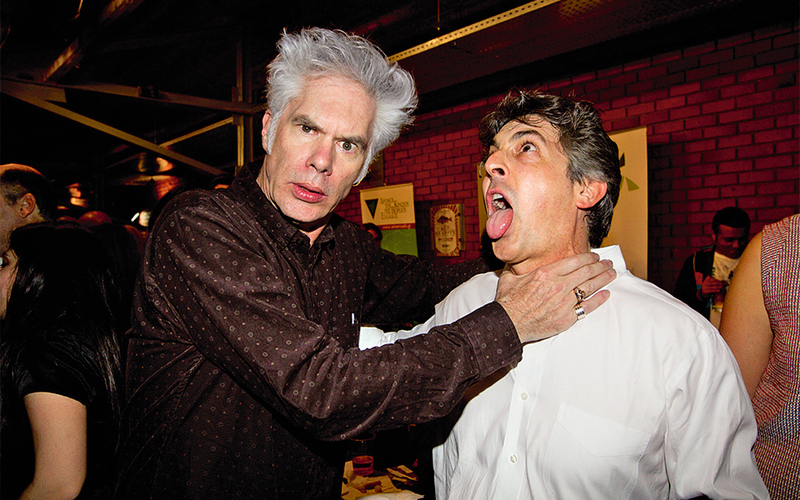 American indie king Jim Jarmusch presenting Only Lovers Left Alive at the festival in 2014, playfully throttles screenwriter/director Alexander Payne. A lot has changed between the first Greek Cinema Week in 1960 and this year’s Thessaloniki International Film Festival: the city, the audiences and the institution itself have all undergone transformations. 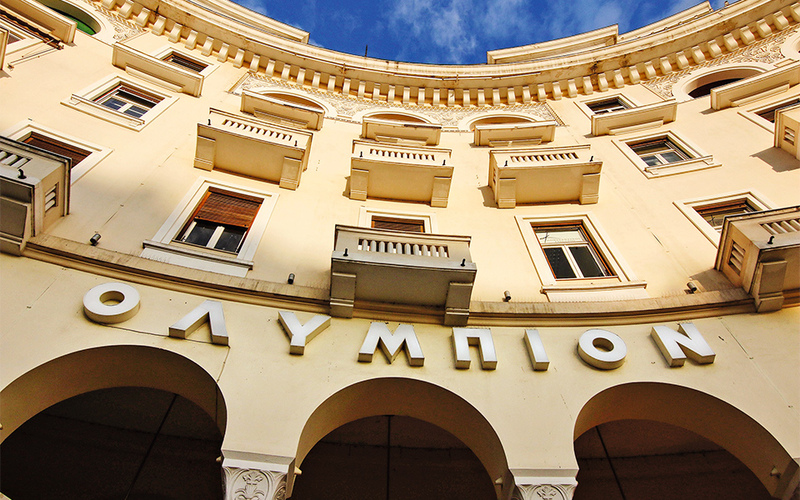 Even the flagship Olympion Cinema on Aristotelous Square, the festival’s headquarters, is not the same building that welcomed the first Cinema Week 57 years ago. Designed in 1950 by Jacques Mosset, the French architect behind many important buildings in post-World War II Thessaloniki, the Olympion was neglected for many years before its radical restoration in 1997. 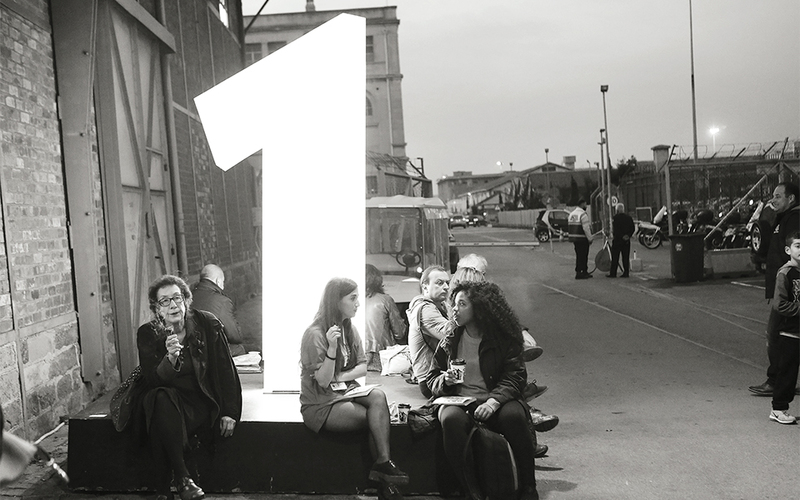 In that same year, the old warehouses at the port were also renovated and turned into festival venues, signaling a new era for both a city and an event that now looked towards the open horizons of the sea, generating a new enthusiasm that brought with it more cinematic screenings, more foreign visitors, new hangouts and a revitalized foodie scene. Taking a break from screenings at the port, where the Thessaloniki Cinema Museum is located. 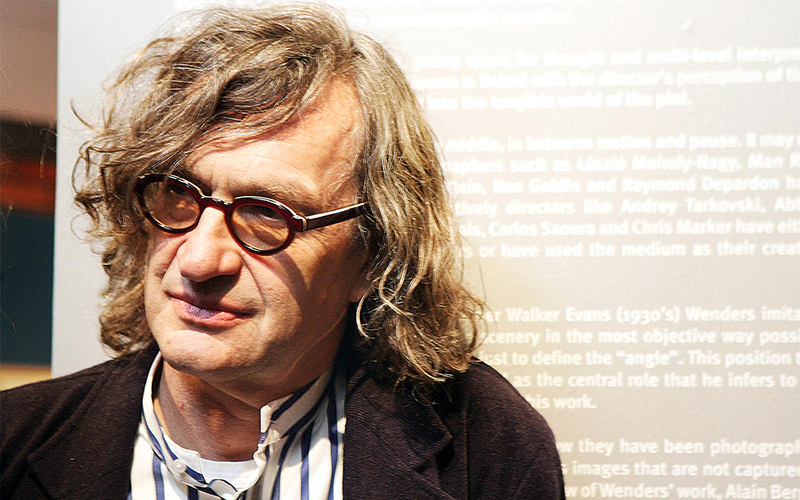 German director Wim Wenders took part in the 17th Thessaloniki Documentary Festival with The Salt of the Earth. 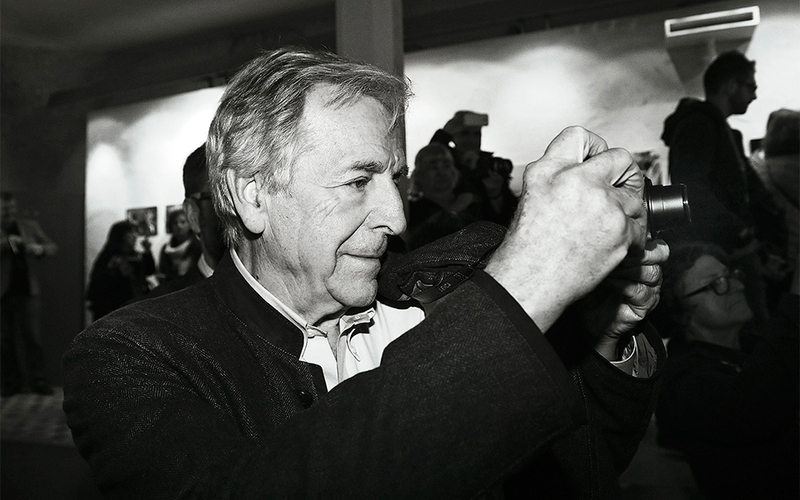 Greek-French director Costa-Gavras at the premiere of his film, Le Capital, during the 53rd Thessaloniki Film Festival, in 2013. The festival became an international event in 1992, a decision that gave the event a whole new character, one focused on a renewed interest in innovation and on bold artistic instincts. The changes that followed were momentous. All of a sudden, Thessaloniki was the city where you could rub shoulders at dinner with Atom Egoyan, debate 71 Fragments of a Chronology of Chance with Michael Haneke or come across Faye Dunaway strolling at the port. The new program also linked the Greek film industry to the cutting edge of international cinema, with an emphasis on independent productions. Inevitably, audience numbers rose dramatically and the once introspective Greek Film Festival (with all its divisiveness, discord and isolation) was saved from ruin. As a close observer of the institution since 1985, I have seen the benefits that the festival has brought, not just to the film community but to the city’s residents as well. What had once been a “family affair” grew into an event worthy of a place on the global map. Greek cinema was driven to compete on an international level, both in terms of art and of production, and to acknowledge the concerns and interests of different cultures. And, of course, the festival has brought us some amazing films over the years, many of which were by novice directors who now remember Thessaloniki as the place where they first shone. As the festival has grown and blossomed, so too has Thessaloniki; in doing so, however, it has still managed to hang on to the best of its own unique local characteristics. 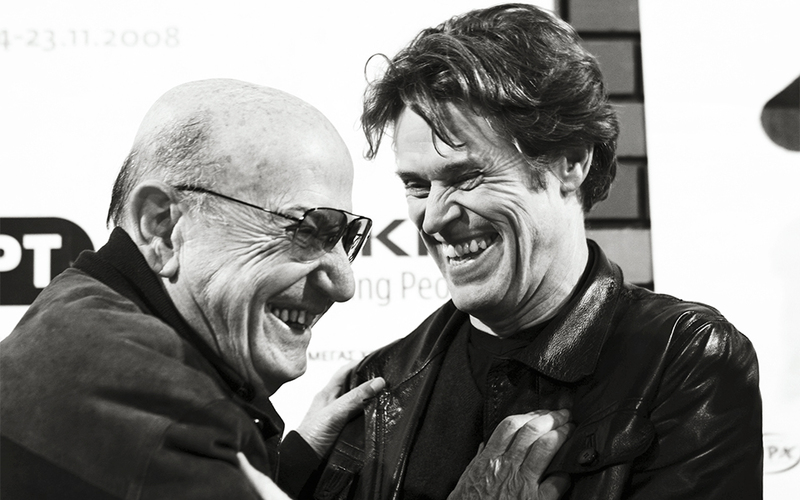 Theo Angelopoulos jokes with Willem Dafoe, the star of his 2008 film The Dust of Time. French actress Catherine Deneuve attended the 40th TIFF in 1999, as star of Philippe Garrel’s "Le Vent de la Nuit". 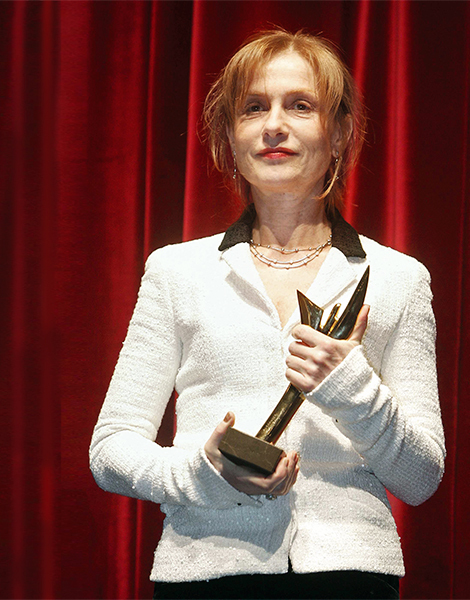 Isabelle Hupert was the guest of honor of the 45th TIFF. The Thessaloniki International Film Festival is opening another exciting chapter in its history, thanks to the appointment of its new director Orestes Andreadakis, a former film critic, a co-founder of the Athens International Film Festival and a knight of the Order of the Art and Letters in France (awarded in 2013). The theme of this year’s event is drawn from the book by philosopher Simone Weil (1909-1943) The Need for Roots: Prelude to a Declaration of Duties Towards Mankind, and the 14 films that make up the International Competition section all address, in one way or another, the issue of roots. Meanwhile, hoping to help in the quest for new horizons in the realm of the moving image, the festival has also organized a special section focused on virtual reality films. Each year, Greece’s biggest celebration of cinema, the Thessaloniki International Film Festival, brings its audiences outstanding films (classics and new releases alike), retrospectives, special tributes, side events and a bright cast of distinguished guests. 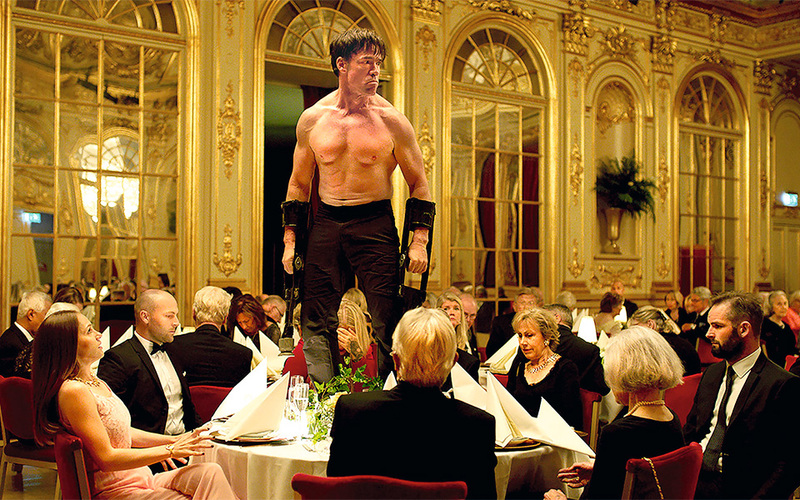 This year, the festival will be attended by Ruben Östlund, winner of the Palme d’Or at the recent Cannes Film Festival, and Jean-Marc Barr of The Big Blue fame, while one of the standout tributes will be to “Balkan Literature and Cinema,” with the screening of 11 masterful films based on the literary works of Orhan Pamuk, Ismail Kadare, Necati Cumali and others.